When it comes to delivering a thrilling time behind the wheel, few cars do it better than a BMW. If an adrenaline rush is what you seek, the Ingress Auto Performance Day event is where you’ll want to be during the April 13-14, 2019 weekend. At the event, you’ll be able to come face to face with the seventh generation of a living legend, the BMW 3 Series. Available in a sole 330i M Sport variant, the all-new BMW 3 Series represents a combination of impressive driving dynamics, modern technologies and sporty design. Get up close and familiarise yourself with the latest BMW 3 Series, or other selected BMW models, by taking them out on a test drive during the event. To get your heart pumping faster, there’s even a time attack course for you to try out. Once you’ve found the BMW that’s just right for you, take advantage of the attractive rebates of as low as 0.88% on selected new BMW models. All brand-new BMW will come as standard with a 5 Years Unlimited Mileage Warranty + Free Scheduled Service package to ensure total peace of mind ownership. 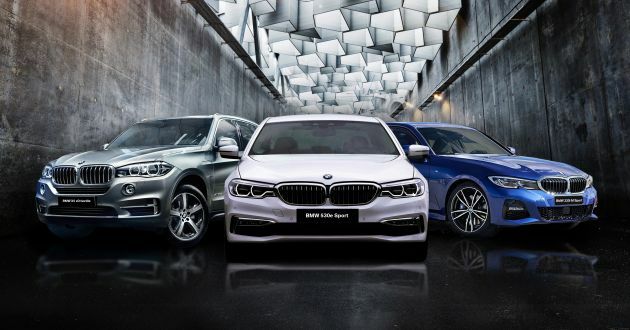 Those looking at models from the BMW Premium Selection range will also be able to enjoy tempting rebates. Additionally, all BMW Premium Selection cars come with a minimum one-year or up to 200,000 km warranty. You’ll also be able to complement your BMW experience with BMW Lifestyle merchandise, which are available at offers of up to 40%. Interested? Well, you’ll want to make your way down to Plaza Arkadia in Desa ParkCity from 9am to 6pm on April 13-14, 2019. You can register your interest for the event here, and for more information, head on over to Ingress Auto’s official Facebook page.